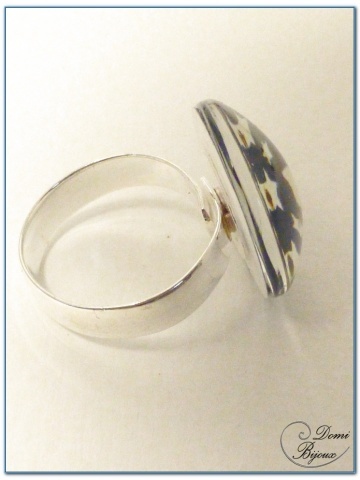 Fashion ring silver finish with stars cabochon. 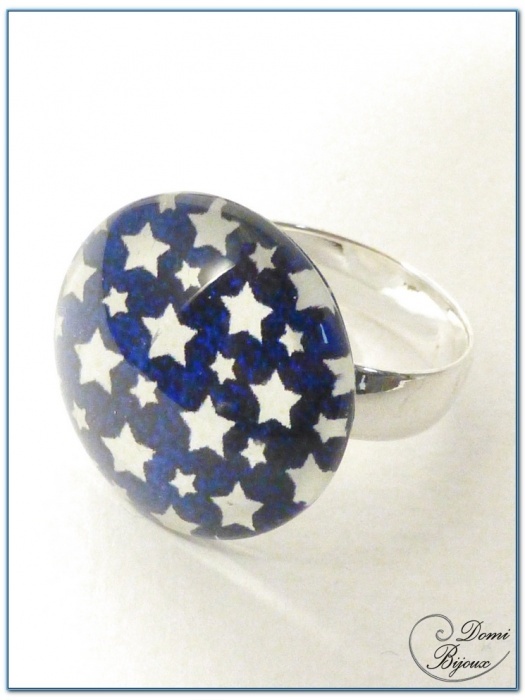 This fashion ring silver finish is made with a cabochon of 20 mm diameter with stars on a dark blue background and a silver finition frame. This ring is adjustable by a movement of spiral inside the frame, so you do not pinch your fingers. The adjustement of this ring come from teenager size to adult size. 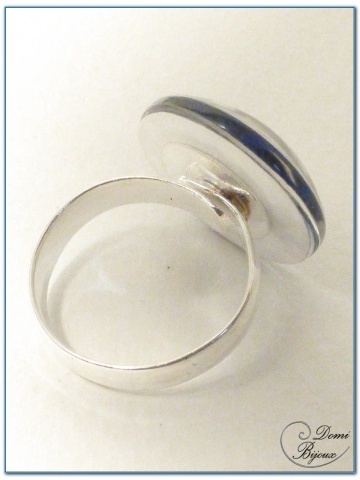 You will receive this nice ring in a cloth pouch to store it carefully when you don't wear it.